We can all agree that soda is bad for us; it’s filled with tons of sugar, has lots of empty calories, and can rot your teeth. So as a better substitute, many people are turning to sparkling water (or seltzer or club soda). It has all the carbonation of soda without the extra calories and sugar. But is it just as healthy as drinking regular H2O? We asked some experts to find out. If you’re reaching for unflavored sparkling or seltzer water, there’s not much difference between the bubbly kind and traditional flat water. 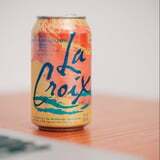 “The only difference between regular, flat water and its effervescent counterpart – plain seltzer water – is the addition of carbon dioxide,” personal trainer and dietitian Jim White, RD, ACSM, told POPSUGAR. In fact, it’s just as hydrating as regular water. If you’re opting for plain versions, it’s still zero calories and zero sugar and has no added ingredients except for carbon dioxide. 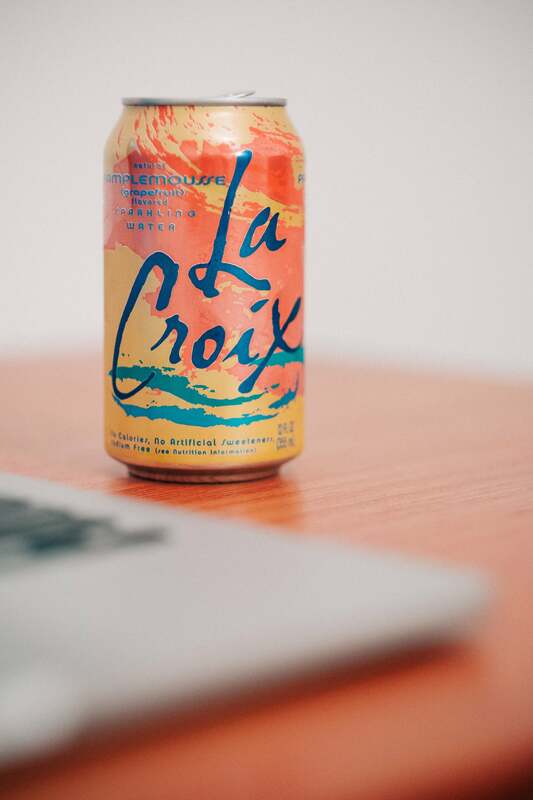 If you’re drinking zero-calorie sparkling waters, such as LaCroix, it can also help you lose weight since they’re made with minimal ingredients (usually just “natural flavors”) and are still zero calories and zero sugar. “No doubt that these nutrition facts are an improvement toward one’s waistline in comparison to drinking its sugary counterpart: regular soda,” Jim said. Just be wary of sparkling waters that are actually made with added sugars, artificial sweeteners, or other ingredients; those could be detrimental to your weight-loss efforts. There was controversy over whether or not sparkling water could harm tooth enamel and result in dental decay. In reality, the pH of carbonated water is about five-and-a-half compared to tap water’s seven. While that’s more on the acidic side – anything below a seven on the pH scale is acidic – it’s not enough to cause too much tooth destruction. Although sparkling water can be just as hydrating as still water, it’s harder to drink as much of it as you can flat water. “The only factor that could potentially result in seltzer water being less hydrating than regular water is the bubbly effect, which not only may make the water slightly more difficult to drink, but also gives the consumer a ‘fully belly’ bloated feeling due to the carbonation of the liquid,” Jim said, adding that you may end up drinking less liquid throughout the day. You should still aim to drink about 64 ounces of water a day, although sparkling water could make up some (but not all) of this equation. You can still enjoy sparkling water, and it can even help you lose weight, but it shouldn’t completely replace still water in your diet.